The vinyl record, once thought to be crawling off to the dustbin of unused audio playback formats has returned with a vengeance! Crosley responds with a selection of new turntable designs that reflect modern connectivity and an established love of great vinyl sound. 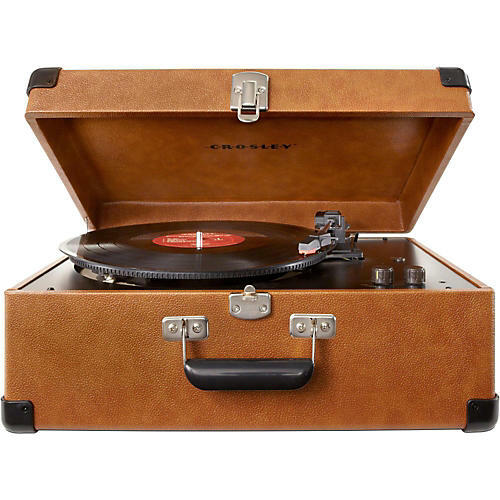 The Keepsake is a three-speed turntable in a vintage-inspired suitcase loaded with full-range speakers, and it's not just its looks that are charming. Keep your music safe by using the USB port to digitally preserve precious vinyl and enjoy tunes for the next generation of audio lovers.